Disclaimer- Before I get into the review I just quickly want to clarify that this is solely how I feel about the lenses, how they feel in my eyes and how they feel after they've been taken out, what I experience may not be what you do so please take this into consideration. I read a few reviews online before purchasing because I was sceptical seeing as they're so cheap and I was worried incase my eyes would get damaged. 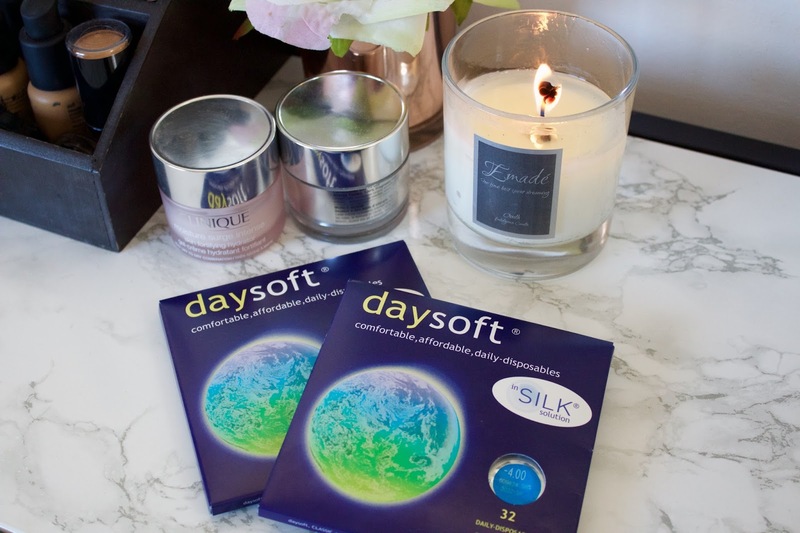 Some reviews did say that these particular lenses do not allow enough oxygen in the eyes which can be damaging in the long run however contact lenses aren't very good for your eyes regardless so it's a risk you take. The website is easy to navigate, it has a drop down menu of loads of brands that you can pick from and then you choose the ones you're currently using and provide an alternative for you. 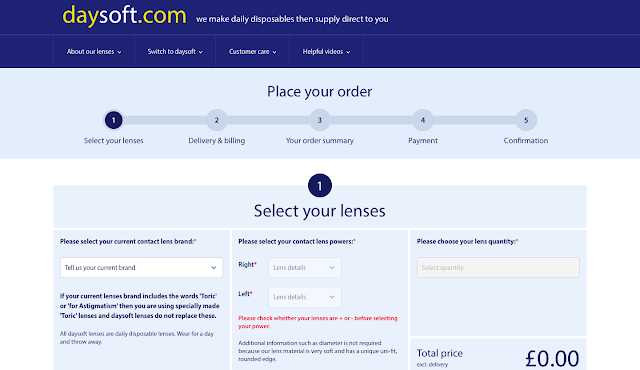 Depending on your prescription the price does change but I paid £11 for mine, which is so much cheaper than what I usually pay for only 30 contacts where as with these daily disposables I get 32 in a pack. Verdict - the contact lenses are beyond perfect! They feel comfortable and don't dry my eyes out anymore than the usual (I suffer with really dry eyes anyways) I always have to top up with eye drops throughout the day because of that reason. However I should mention that the lenses are slightly bigger than the usual and slightly thicker, you'd think that would irritate my eyes but it honestly just feels the same. Of course as I mentioned this may not be the case for you but for the price you can always just try a months worth to see if it works for you and if it doesn't throw them away. 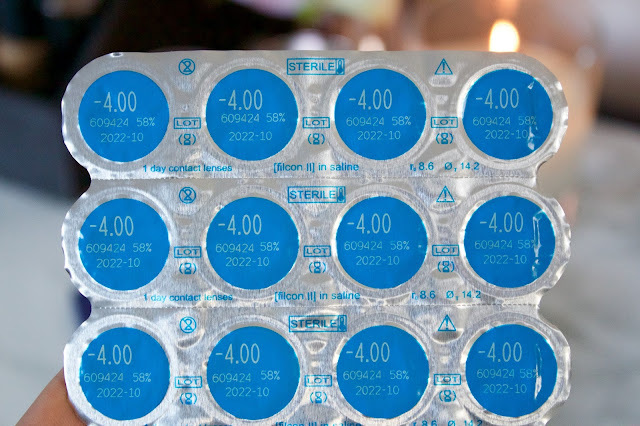 If there was anything I could change it would be the packaging, I personally find it quite fiddly because its all in one pack like tablets, I have to cut around it and then peel the foil over which is time consuming. I do wish they changed it but I guess this is why it is at a cheaper price because its all in one packet. 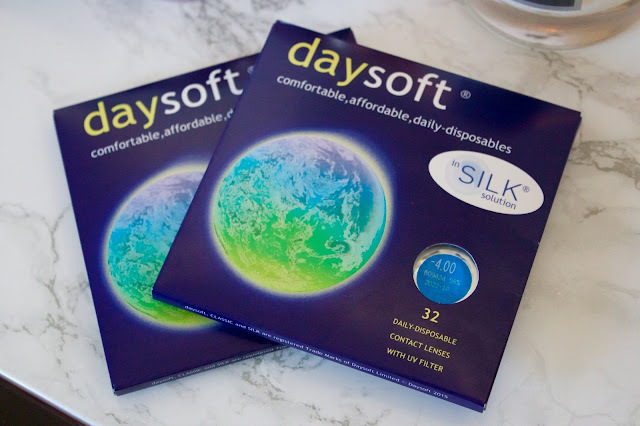 I've worn them for around 5 hours the maximum being around 8 hours and they've felt normal, around the 7/8th hour of wear they do feel dry but again as I mentioned that's expected because I do suffer with severe dry eyes. 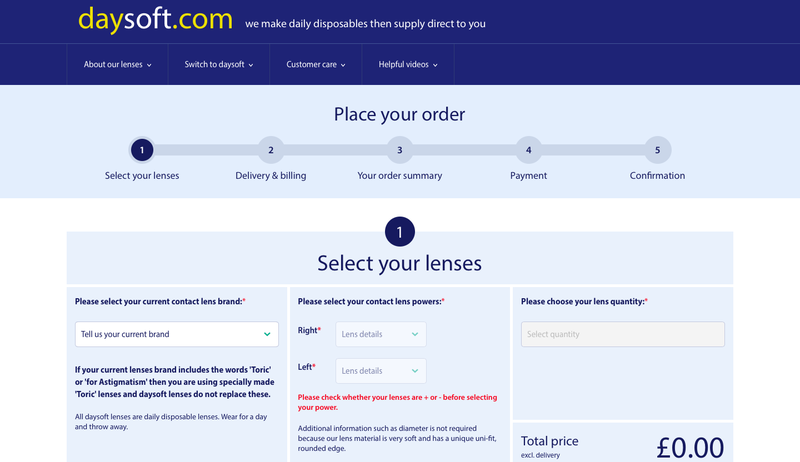 Overall I highly recommend these contacts seeing as they are cheap and cheerful, I won't be going back to paying £35 per month because if you times that by 12 you do end up spending over £300 which is crazy.